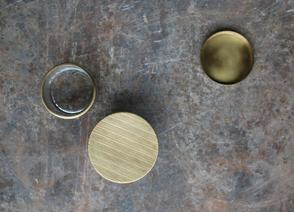 You can't go wrong with a stylish brass topped pot. 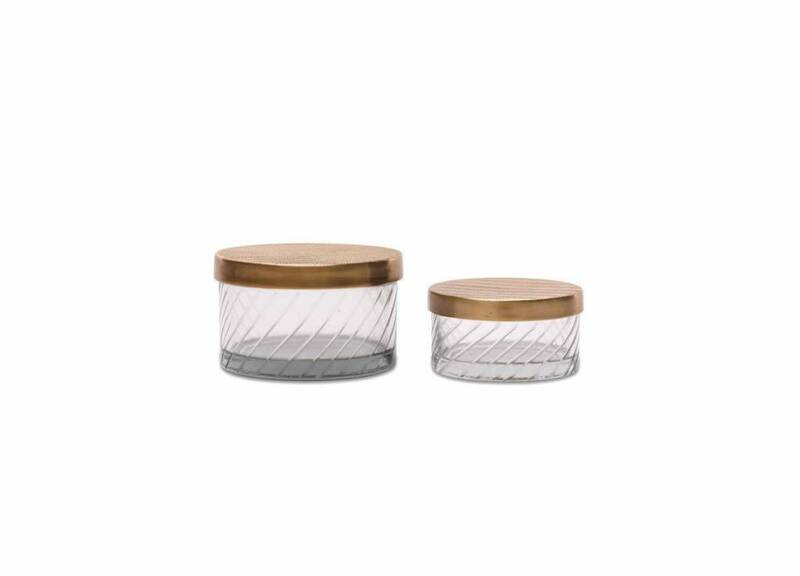 Perfect for storing all kinds of bits and bobs from cufflinks and rings to paper clips and drawing pins. 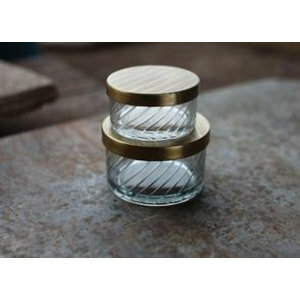 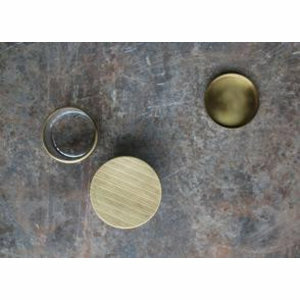 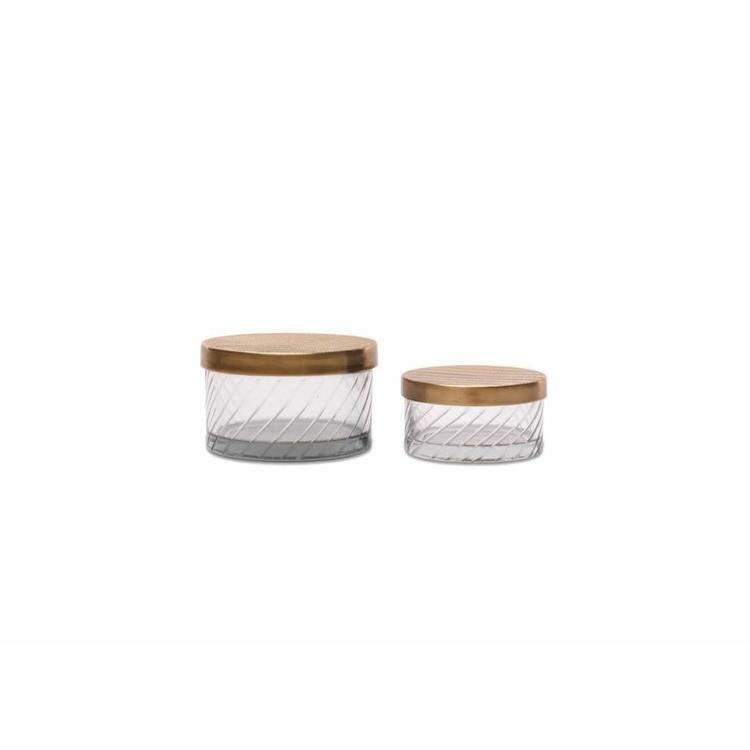 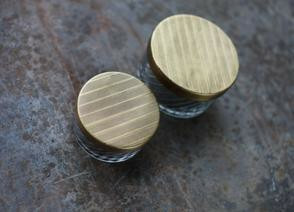 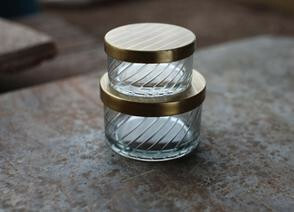 Organise your stuff in these stylish yet practical glass and brass pots. 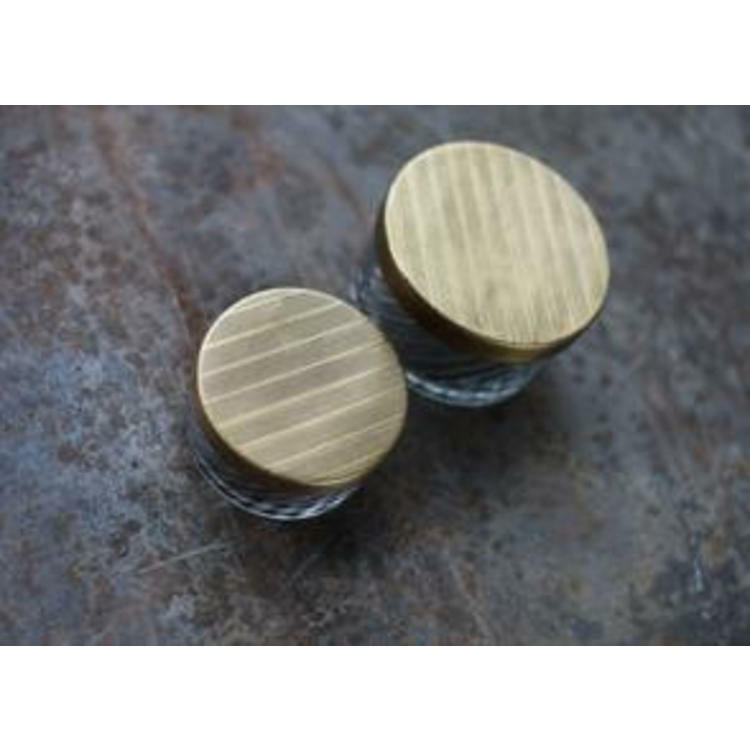 Each round glass storage pot comes complete with a hand etched metal lid, perfect for storing earrings, cufflinks and other small items.